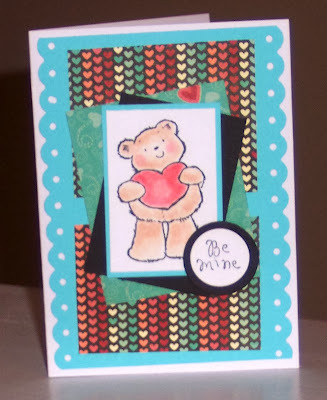 Here is another little Valentine I made for the current Sketch and Stash Challenge using my new Penny Black Stamp and paper from BoBunny. I colored with Prismacolor pencils and OMS. oooh what a lovely card! 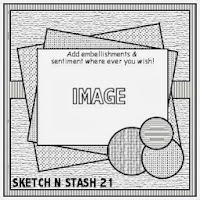 thanks so much for joining us at Sketch N Stash! 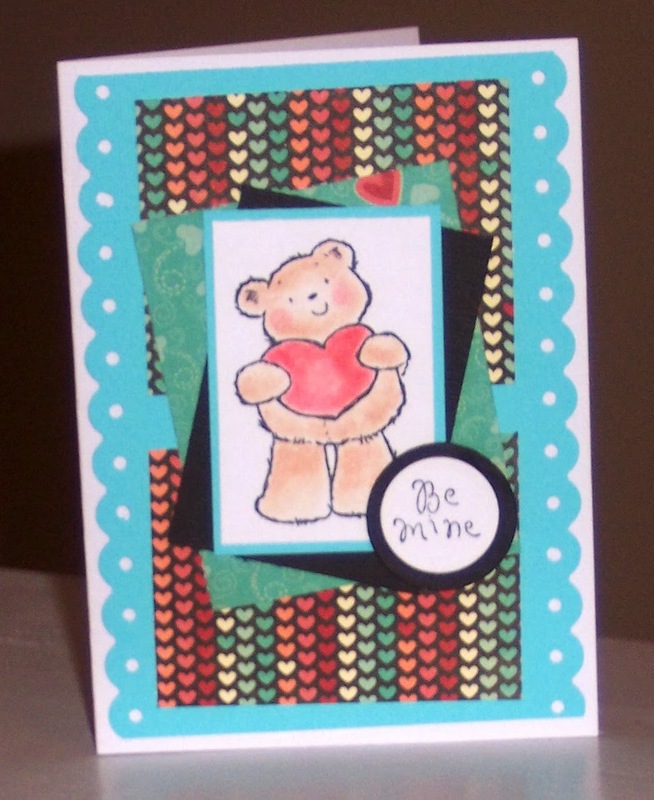 Great card, love that supercute teddy!